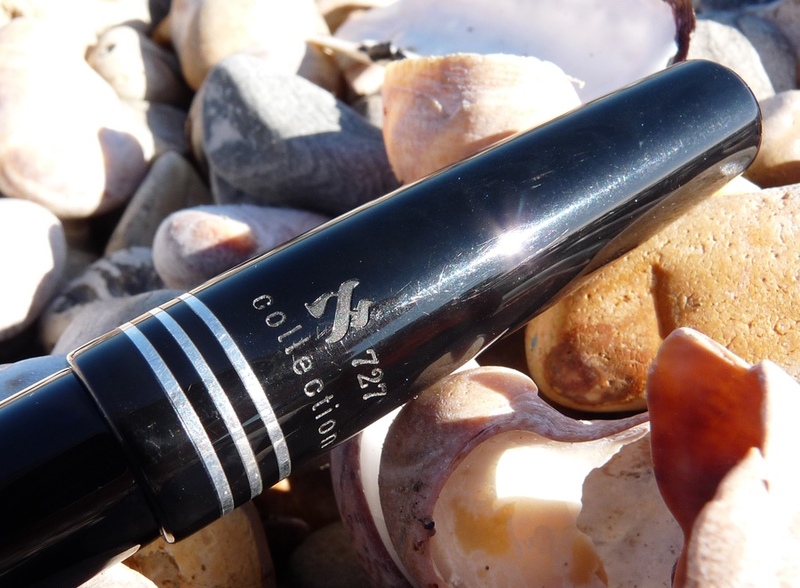 Marlen Aleph Fountain Pen Review – Pens! Paper! Pencils! 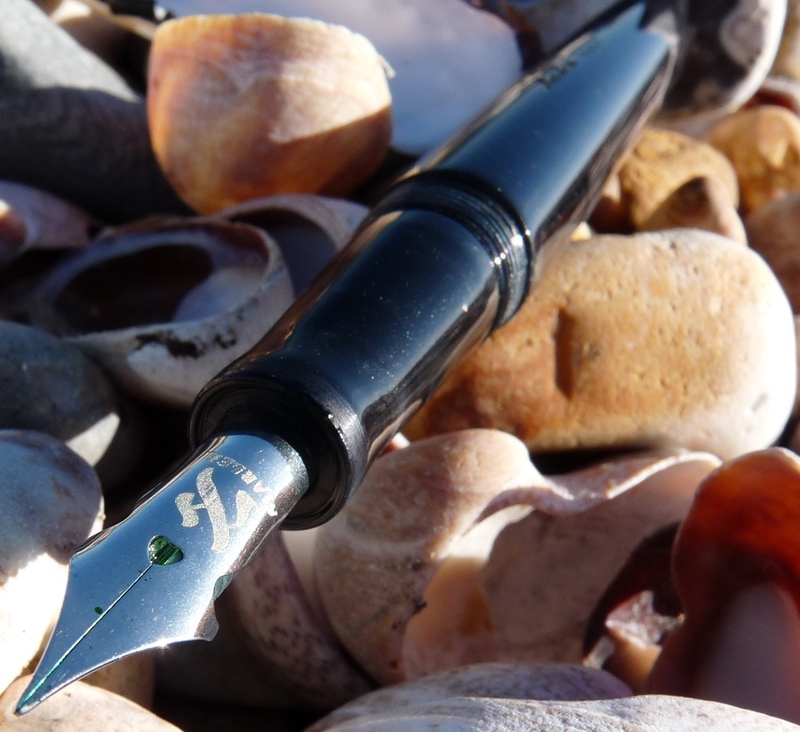 Marlen is an Italian company that makes a range of reasonably priced fountain pens. 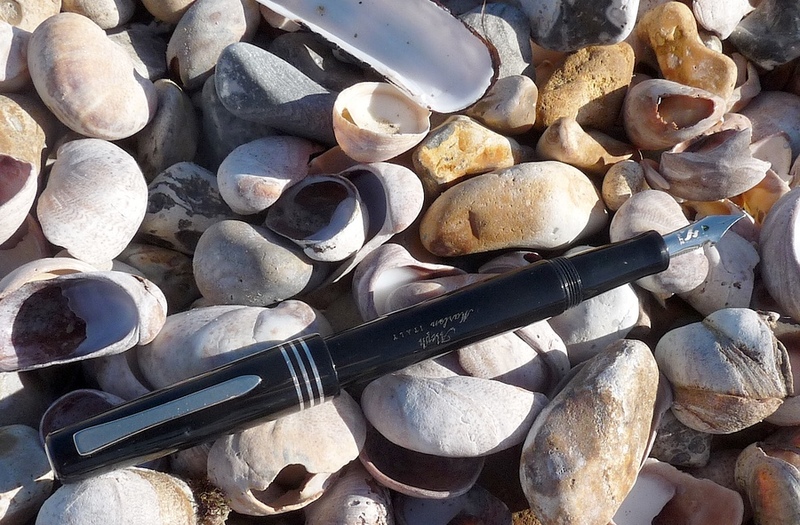 The Aleph is at the more expensive end of their range and is the result of a collaboration with the Italian language fountain pen wiki fountainpen.it. This pen was loaned to me by the original purchaser, who wanted some alternative opinions about it. He was having issues with the feed running dry and (spoiler alert) that certainly is a problem. However, there are many good things about the Aleph and I wanted to share my thoughts. This Aleph is made from a rather nice grey plastic with shimmery ‘mother of pearl’ running through it. It reminds me of my Franklin-Christopher M03, which is no bad thing at all, as that’s one of my favourites. It’s a good looking pen. There’s etching on the cap and barrel, which is tastefully done and reminds me of vintage pens. It helps bring an air of quality to the Aleph. The clip is firmly and clippy. The cap screws to close and pushes on to post, which it does so quite firmly. However, for me, the pen’s a little top heavy posted and I much prefer to hold it unposted. 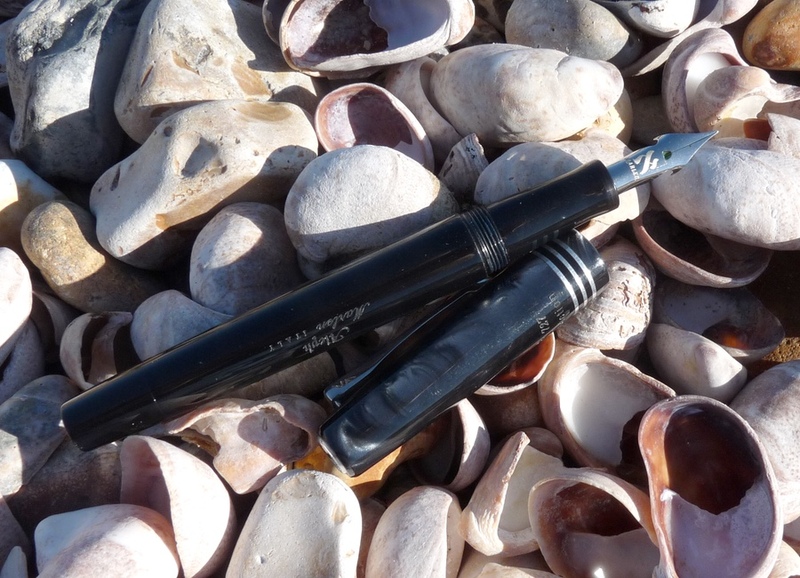 The pen’s described as a piston filler and it is in the sense that a converter contains a piston: it feels to me as if it’s using a captive converter. 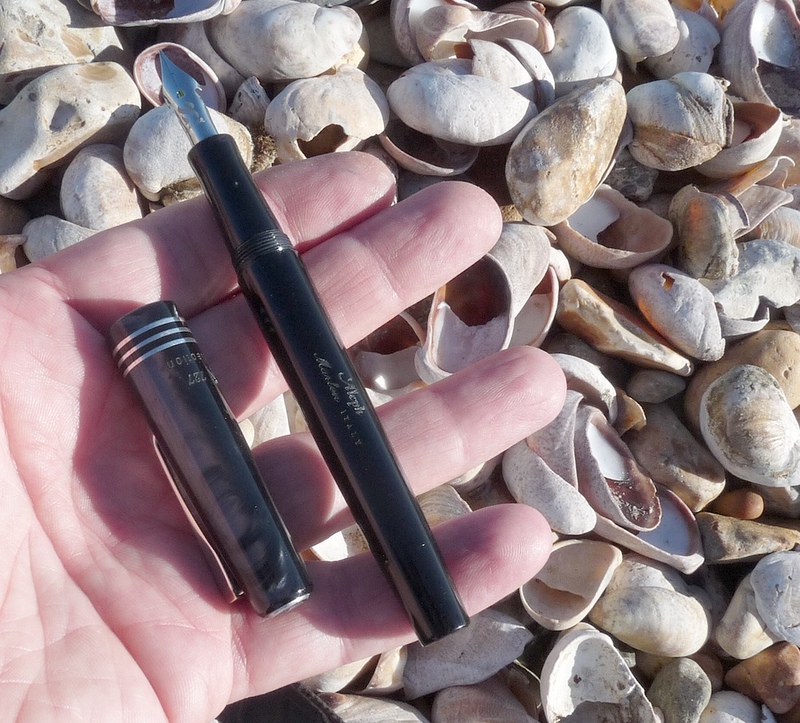 There’s nothing wrong with that, except you don’t get the ink capacity you’d expect with a piston filling pen and you don’t get the advantages that come with a removable converter. I haven’t checked this out though, so I can’t be completely certain, as it isn’t my pen and I don’t want to take it all apart. There’s rather a significant problem. I cannot write with this pen. I don’t get on with flexible nibs particularly anyway but even so, the ink dries out every word or so. It’s impossible. The thing is, if I’d bought this pen myself, I’d have returned it and had it fixed or replaced. All in all, a well made pen that doesn’t write. A brief rummage around Pennaquod shows a range of experiences with this model. Some Alephs have no problems at all, others write well unflexed but the feed dries out when flexing. I wanted to review the Aleph because there’s much that’s good about it. 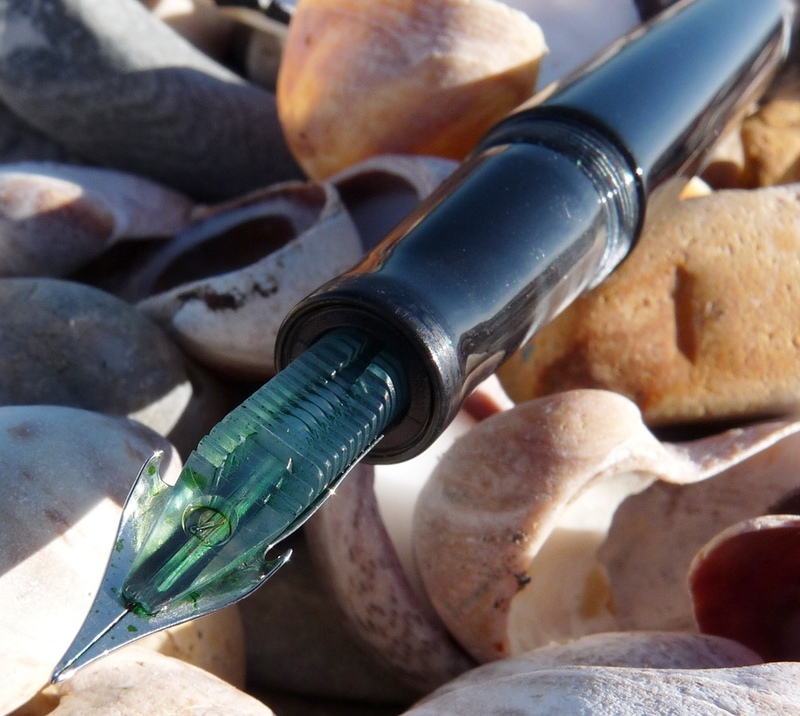 While I clearly can’t recommend it, it might be worth taking a look at one if you’re able to purchase one from a reputable vendor who will ensure you get a good working pen or if you’re able to try before you buy. A big thank you to Dan for lending me this pen! Did you try to remove nib & feed? Looks like standard pressure fit. WIth this design difficult to flush nib & feed. Could be a blockage there. PS: I am not a fan of captured converters. Most of mine the section unscrews so it can also be used a a standard converter, easy to clean out. Thanks for the tip! I didn’t want to do anything like that with this not being my pen but it would have been worth trying. I’ve sent it on now.